Sometimes you just have to read a happy ever after. 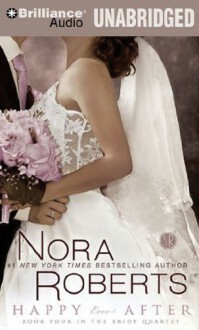 Nora Roberts delivered just that. It was also a nice ending to the series of the bride quartet. Almost makes me want to have a wedding all over again. I listened to the audio version of this book and it made the book come more alive for me.